The fine folks over at Cover Girl sent me two of their newest products to try out, The Super Sizer by Lash Blast Mascara and Intensify Me! Liquid Liner. 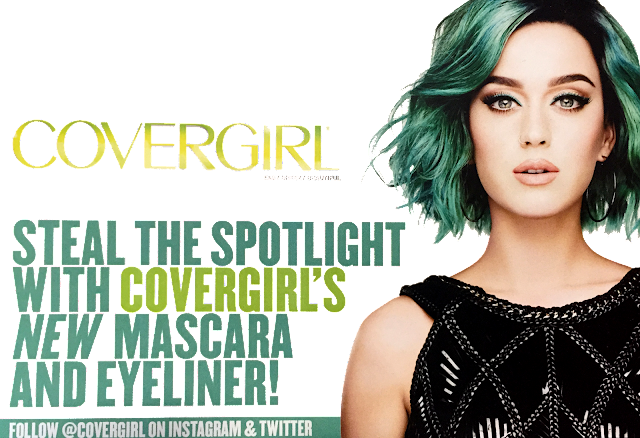 Cover Girl is a drugstore brand that I have been using since I was a young teen and continue to use until this day because of their consistent, high quality and affordable products. I always get excited when they launch new products, and since I have had a few weeks to try these out, I thought I'd review them for you guys. The Super Sizer by Lashblast Mascara has a unique brush which is more of a lash styler, that is meant to be twirled when you apply it. This helps you build length, volume and also helps sculpt your lashes. The Lash Styler claims to transform even small lashes. The description makes some pretty bold claims so I definitely wanted to put it to the test to see if any of it is true. I was pleasantly surprised! My natural lashes are pretty normal in length and are naturally curled and this mascara helped bring out the curl while adding volume and length. 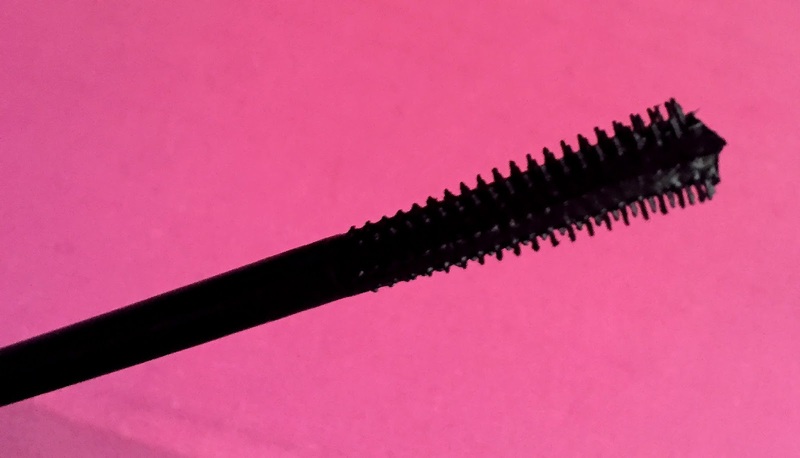 When I apply this mascara, I like to use the shorter bristles of the brush and apply it directly to my roots to deposit a good amount of mascara. Then I wiggle my way up and I use the longer bristles to distribute the product, sculpt and also fan out my lashes. You can get away with a single coat, but I like to wear two coats for a more dramatic effect. Since the design of the Lash Styler is sort of comb-like, it helps to keep your lashes from clumping together. I've worn this many times and have worn it for many hours without it wearing off and it's totally flake-free. The formula isn't too wet or too dry. The hypoallergenic formula removes easily, even with makeup wipes. I was instantly intrigued by this liner because of the applicator. It isn't a brush and it isn't a marker tip. 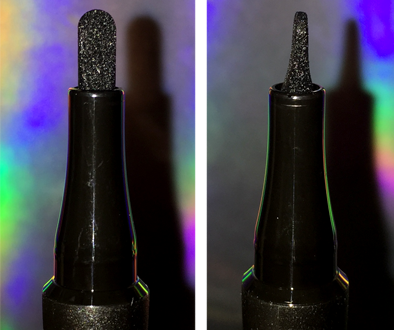 It's shaped like a paddle which is unlike any other eyeliner I have yet to try. The shape allows you to easily create thin or thick lines. I had a little bit of trouble the first few times while using this because I'm used to the traditional brush-tip liquid liner, but after a few tries, I got it. 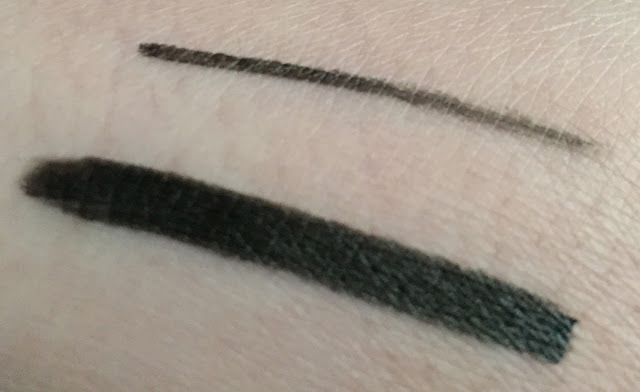 The two main problems I have with this liner is that I wish the tip were a little bit more flexible so it can flow with the natural contours of my eyes better (it's a bit stiff) and I wish more product was deposited while applying. I had to bend the applicator a bit to force some of the product to come out. 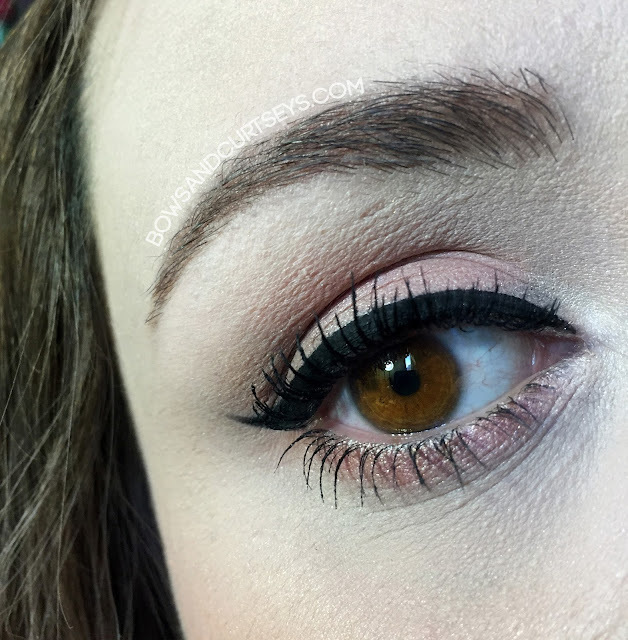 Other than that, I really like how easy and effortless this liner is to get really close to the lash line, especially if you want a more natural look. 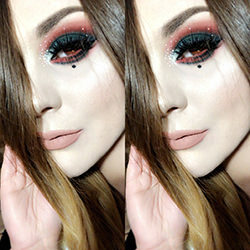 I feel like the design of this liner would be great for someone who is a beginner with liquid liner because it gives you a lot of control. The formula dries fast and matte and is smudge-proof. For me, it stays put for most of the day but starts to fade towards the end of the day, especially in the inner and outer corners of my eyes. It removes easily as well. 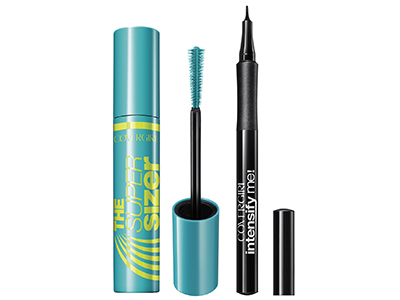 Wearing both The Super Sizer by Lash Blast Mascara and Intensify Me! Liquid Liner. Overall, I think both of the products are great and worth a try! I especially love the mascara and I will definitely be purchasing it in the future. The liner is not really for me, but like I mentioned before, I feel like it would be great for someone who has trouble with liquid liner. I hope you found this review helpful! Take care!